College Reporters: How Many Sugar Cubes in Your Drink? 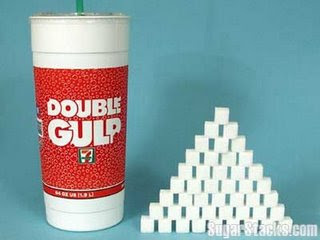 How Many Sugar Cubes in Your Drink? We used to depend only on water, but as times have changed we have been given more options. Now we can choose from a can of soda or a glass of juice, a smoothie or a cup of coffee. Rarely do we read the labels on that can of soda or realize how much sugar is in that juice glass we get from Benson. Well, here is something that will have you thinking twice about what drink you order next.